Cappadocia Balloon Ride - fly high! Plan a tour to the central region turkey, Cappadocia and lose yourself in the marvels of the old history long before the rise of civilization. Turkey offers a great passion towards their tourism industry, knowing that they own a land that is full of history and a heavenly landscape. Once you are in turkey, you will know from the welcoming vibes why Cappadocia is such a famous tourist spot. Cappadocia promises its travelers wealth of amusement, adventure and history. For art lovers, Turkey is full of surprises. There are many ways to enjoy the beauty of Cappadocia, but none is compared to the remarkable experience of balloon ride Cappadocia. A Balloon ride Cappadocia opens up to you the entire beauty of this region in just one hour. This captivating journey takes you across the Rock castles, caves, conic shaped rocks, stone columns, open air museum, fertile land and of course the river line. While gazing at the frescoes of the open air museum in Goreme, you are guided towards the history of the byzantine people and the Romans. From the many services of air balloon rides, you will find our ride one of the most promising one. There are several packages that you can select from. There are the standard flights, the deluxe and then the exclusive flights for just the couples. Safety and security of each passenger is our utmost priority. So every flight is scheduled according to the weather conditions and quality check of the basket. On the day of journey, we will provide you pick and drop service from the hotel. After taking you to the launch site, there will be a delicious breakfast basket as you watch the balloon you are going to ride on inflate. The flight crew will get the basket on its feet and the pilot gives passengers a brief about the journey in the air. From the top of the ground, the view of Cappadocia becomes incomparable. The landscape revealing itself with the sunrise is a one of a kind view. Your flight is much dependent on the compatibility of the weather with you. With the beautiful wind kissing your cheeks, you enjoy a hypnotizing journey with 20 people in complete silence. As you land back, we celebrate the journey with a nice chilled glass of Champagne. Lastly we give you a certificate for your journey with us. Up in the sky we go - with Hot Air Balloon Turkey Cappadocia is a city of remarkable scenic beauty. It is a home to many of the world’s historical monuments and creations. Unlike many other countries, Cappadocia offers you sight to both architectural excellence and nature’s wonders in the form of volcanic eruptions that caused beautiful caves to open up, where people now dwell. Turkey receives hundreds and thousands of tourists each year. And one of its great offerings to the tourists are the air balloon rides that allow them to admire the natural scenes of the world from a great distance. Turkish hot air balloons are ideal for family trips, as well as friends and couples touring together. According to the requirement of the number of people, there are different baskets and sizes offered. For instance, a standard basket can carry up to 20 people and is ideal for individuals who are travelling alone. The standard basket allows you to enjoy the company of many strangers who often after the hour flight in the air become friends. Other than the standard baskets are deluxe and private flights. The deluxe packages are appropriate for families that can take up to 8 people along. The private flight of 4 people however is for couples and best suited for proposals and anniversaries. As the flight begins and as you rise up in the air, the world below becomes a mystery. You see how the volcanic eruptions, years ago resulted into beautiful caves. The residents of Cappadocia developed beautiful houses out of those caves, a scenery that is now regarded as “fairy Chimneys’. Not only that, the churches, the suits and the underground excavations is a must see sight. In the one or two hour journey, you collect memories of a lifetime. The scenery of absolute magnificence makes you tremble at the beauty of God’s nature. What inspires you most in the hot air balloon is the fact that everything you see is free of any human intervention and is but simply a play of nature. In such a helplessness, and a world that is not in our control, people often let go of their stress and pain. 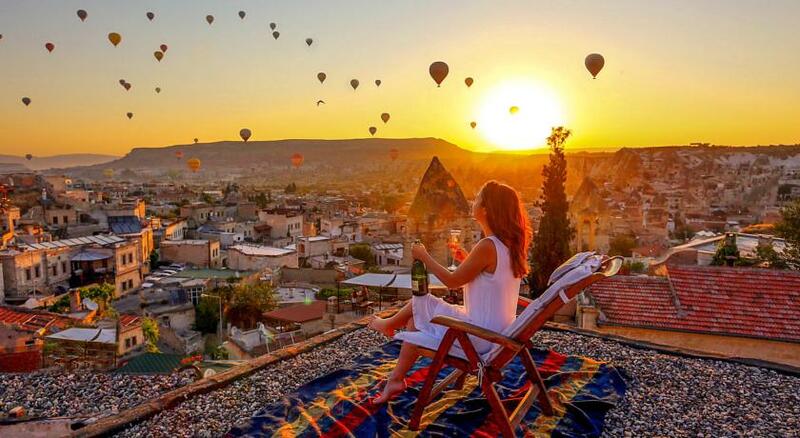 If you are planning to visit Turkey, hot air balloon ride in Turkey is a must. Book yourself in advance if you want to get a place in on that balloon. As famous as it is, there are high chances you will not find a seat for yourself in a short time span. Brief information about Cappadocia Cappadocia is a unique area with its nature, history and geography attracting many tourists and travelers from all over the world. 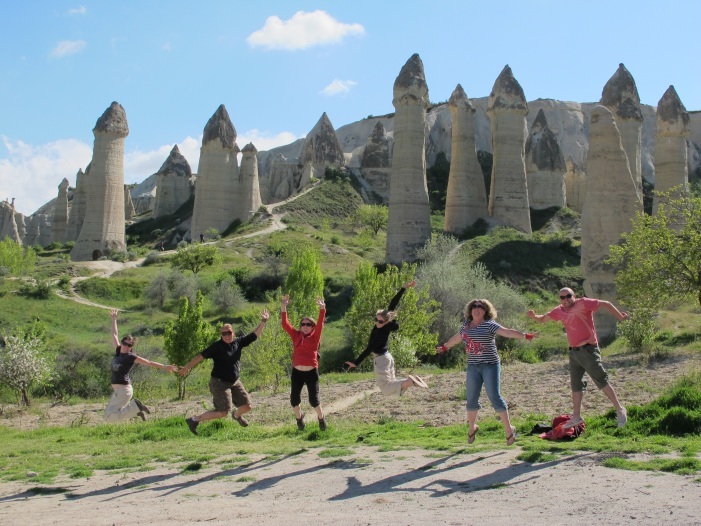 Here are some quick answers of common questions about Cappadocia. How to arrive Cappadocia from Istanbul? 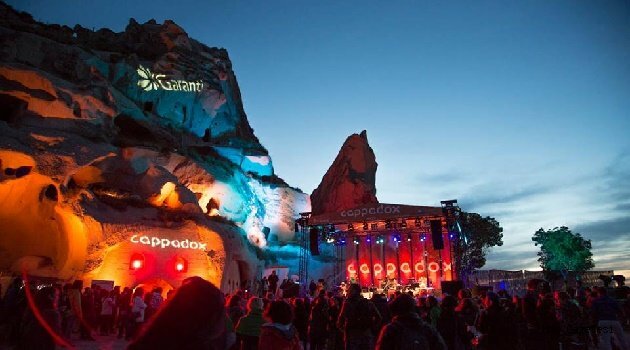 Turkish airlines, Pegasus airlines, Anadolu Jet airlines and Atlas Global airlines have flights to Cappadocia from Istanbul Ataturk and Sabiha Gokcen airport. You could either pick Nevsehir NAV airport or Kayseri ASR airport as arrival airports in Cappadocia. 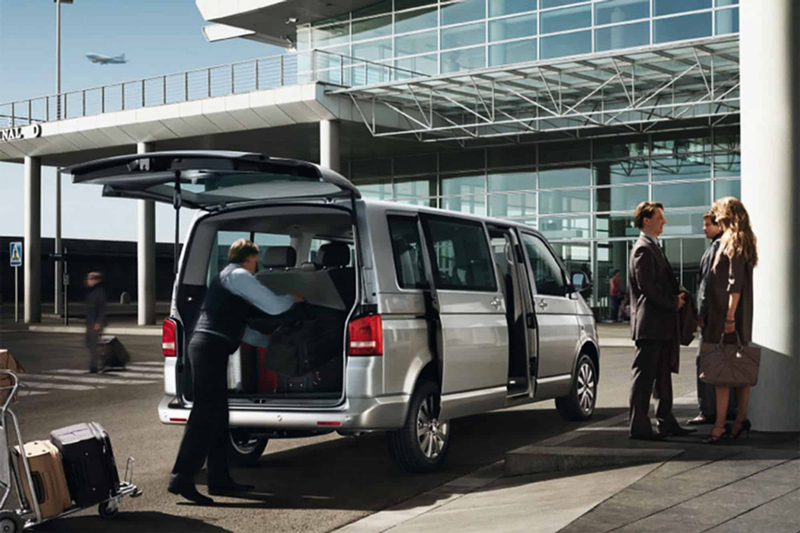 Once you are in either of the airports, we can help you arrange airport shuttle bus transfer from both airports. Please contact us for any inquiries. 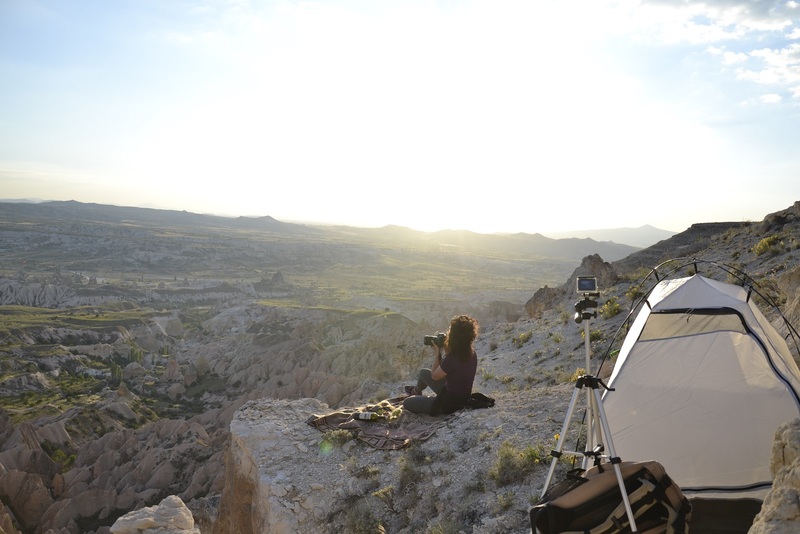 How many days is good enough to spend in Cappadocia? Minimum 2 Nights and 3 full days or if you have time at least 3 Nights and 4 full days is needed to wonder around Cappadocia region as it is a large area full of history and nature. Where to stay in Cappadocia? Definitely Göreme village. Göreme town is right in the middle of everything. You can have easy walks to valleys, historical churches and you could also take local buses to other villages around. Also most of the cave carved hotels are located in Göreme Village. Our suggestion is Cave Hotel Saksagan in Göreme. What to do in Cappadocia? a. Hiking in Göreme National Park b. Staying in a Cave Hotel c.
WHY CAPPADOCIA IS COUNTED AS ONE OF THE BEST PLACES TO DO HOT AIR BALLOONING IN THE WORLD? Cappadocia itself is a magical place welcoming visitors from all over the world for many years. With its unique volcanic rock formations, valleys, ancient churches and caves and fairy-chimneys the area is one of a highlight of Turkey. Right now, Cappadocia is counted as one of the best places to do hot air ballooning in the world and it has quite real reasons for that. First of all, the climate in Cappadocia is perfect for a hot air balloon ride. Cappadocia is almost 1200-meter-high from sea level and there is big difference between day and night temperature, just like in the deserts. In Cappadocia region even during hot summer days, early mornings before sunrise is not more then 18-20 degrees. This will allow hot air balloons to rise in the air with a small amount of gas. As it is lived 4 seasons of a year in Cappadocia region only in harsh Autumn days the flights are canceled few days. More or less 300 days of a year could be flying in the area. 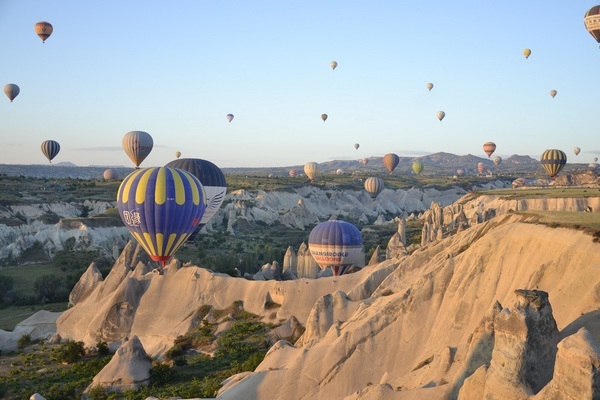 There is a gentle breeze in the morning for hot air balloons to take some road especially inside the valleys of Göreme National Park. As there is no controller for hot air balloons, they need some light wind to push them to move but this needs to be done very gently. Göreme village is a canyon in the middle of Cappadocia and the caves and fairy-chimneys cuts the heavy wind on top and leaves a gentle, soft wind inside the valley for hot air balloons to drift like a boat on the river. Once the hot air balloons take some road and leave out of the National Park of Göreme than the landscape will become a flat area which will allow many places for hot air balloons to take off gently, most often right on the trailer. Natural, volcanic, historical and unique geography of Cappadocia is one of the main reason that makes this amazing area one of the best places to do hot air ballooning in the world. Cappadocia is a larger area but most hot air balloon flights are done over the National Park of Göreme, a UNESCO world heritage site. This is mainly because most interesting shapes of fairy-chimneys, caves, valleys and pigeon houses are exited inside this naturally shaped volcanic canyon. 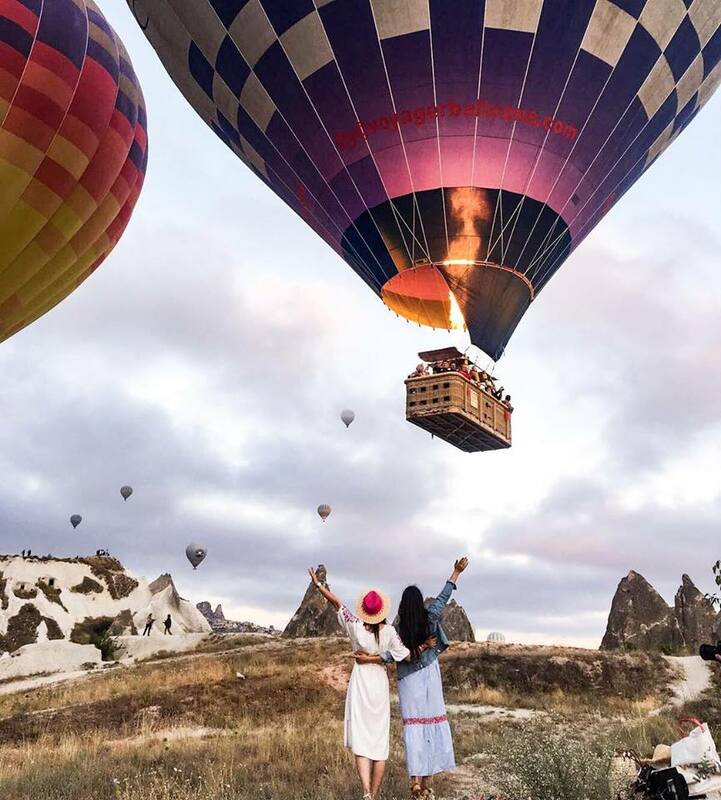 Once taking the hot air balloon ride in Cappadocia, one will drift around the fairy-chimneys and caves, dive into the valleys of Pigeons and Love and rise above Rose & Red. Sometimes will move so close to apple and walnut trees to pick fruits and sometimes will go 2000 feet up to the sky for a magical bird eye view. Cappadocia "The Land of Beautiful Horses"
Trying Turkish cuisine is one of the best parts about visiting the country. Every region has its local specialties, and Cappadocia is no exception. Turkish cooking uses high-quality ingredients that are natural and healthy: the aromatic spices, the fresh vegetables and fruit, and the tender meat all make up the simple yet exotic meals. Cappadocia, like the rest of Turkey, is famous for its pottery kebabs. This delicious marinated meat, usually lamb or chicken, is served either stewed or grilled over wood ovens. They come in different varieties and are marinated with spices and then grilled on an open charcoal fire on skewers. Fish is also grilled in the same way. Doner kebab is not only one of the most popular dishes here; it has spread throughout the world. This big roll of meat is turned on a vertical skewer in front of a grill. It is served either in a sandwich or with rice. 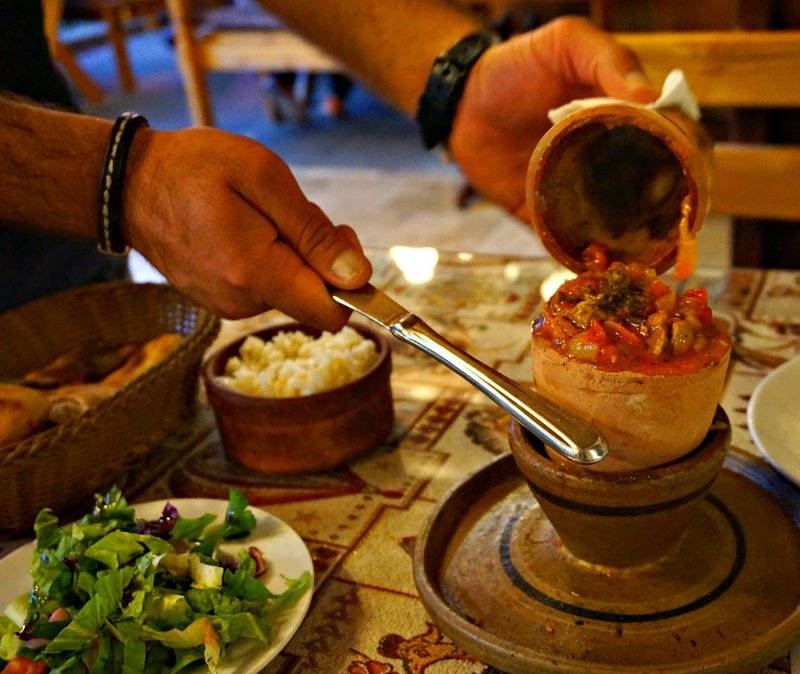 Other popular dishes that are typical of this region are sac kavurma, made of lamb and stewed with onions, green peppers and tomatoes, and alanazik, made of ground meat and eggplant. There are a number of dishes based on eggplant, one of the most used vegetables in Turkish cuisine. Karnıyarık is eggplant stuffed with tomatoes, onion, garlic, and minced meat. This dish can also be prepared without meat and served cold, and is called imam bayildi. If you’re hungry for more eggplant, try the hünkar beğendi (Sultan’s Delight), patlıcan salatası (roasted eggplant salad), and patlıcan dolması (eggplant stuffed with rice). There are some certain rules that companies and Hot air Balloon pilots need to obey during flying over the National Park of Goreme ( UNESCO World Heritage Site ) brought by TAA “Turkish Aeronautical Association” of Turkey. 1- The weather conditions must be suitable for hot air balloon ride. As Cappadocia region is located very centrally in Anatolia, it has quite changeable weather conditions. The area is almost 1200 metre high above sea level and there is a considerable difference between night and daytime temperature. 4 Seasons; Spring, Summer, Autumn and Winter is lived in the area throughout the year. Therefore, if the weather is heavy rainy, heavy windy or heavy snowy the hot air balloon rides will be cancelled in Cappadocia for sure! 2- The conditions of a Hot air Balloon must be suitable for TAA conditions. A hot air balloon can only be used for limited flying hours. By time; the balloon may damage, rip and get older. If it lacks flying standards then it will not allow to use any more if it is ploughed. 3- There can not fly more then 100 Hot air Balloons at the same time in the sky of Cappadocia and they can not stay more then 1hr in the air. Cappadocia is counted as one of the best places to do hot air balloon ride in the world, almost 2000 people fly every day. This brough hot air balloon traffic in the air and TAA solved the problem with maximizing the numbers of hot air balloons in the air. Right now 1st sorties are allowed to take off 100 hot air balloons and 2nd sorties 50 balloons. Another rule regarding second sorties is that they have to take off at least half an hour later than the first flights and needed to take off at least 500 meters apart. As a result, first flights can not take more than 1 hour in the air to allow enough landing areas for the second sortie balloons. We welcome our Hot air Balloon Cappadocia visitors in style and look after the entire process from your very hotel door to ensure an effortless and magical journey. Prior to your pre-booked hot air balloon flight, we will be in contact regarding your chosen accommodation. On the early morning of your flight you will be greeted with a friendly face and mini van at your hotel door. Guests are chauffeured to the hot air balloon headquarters, where you will be invited to indulge in a delicious buffet breakfast, register for your flight and receive a simple safety demonstration. After breakfast, your driver will then transport you just a short ten-minute drive to the balloon launch site in time to see the balloons inflate. Have your camera ready for the spectacular scene of multiple balloons filling and illuminating the valley. The bright and mesmerising flame awakening the balloons against the low light of dawn is just the beginning of the beauty that follows. The standard balloon basket holds up to 20 guests, flight crewmembers are on hand at all times to answer questions and to assist visitors into the basket once the balloon is fully prepped for its voyage. And then at last the balloon takes flight and the dream begins! As you float off into the whimsical landscapes of Cappadocia, immersed in a sea of stunningly vibrant hot air balloons you will rise up to 1000 metres and feel nothing but surreal. Our flights feel very smooth and winds are light, balloon captains in Cappadocia are among the most experienced ballooning practitioners in the world. 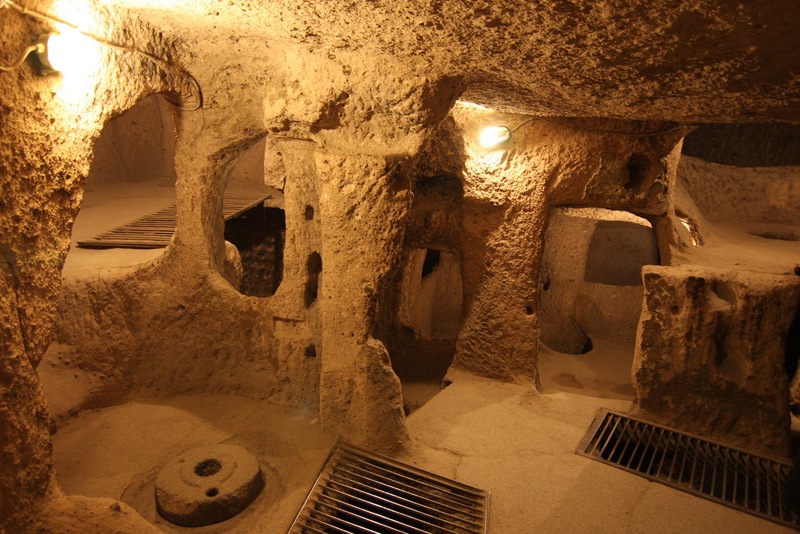 During your stay in Cappadocia, be sure to spare some time to visit at least one of the underground cities. There are 36 of them, but the two most visited ones are both located south of Nevşehir at Kaymaklı and Derinkuyu. They can be reached easily from Göreme, Ürgüp, Avanos, or Uçhisar. These subterranean cities were carved from the soft volcanic stone and extend deep into the earth. The deepest one has 18 to 20 levels and a depth of 70 to 85 meters. It had the capacity to hold 10000 people. About 500 kg of stone was processed above ground and then taken underground. The underground of Cappadocia was made from volcanic ash from Mt. 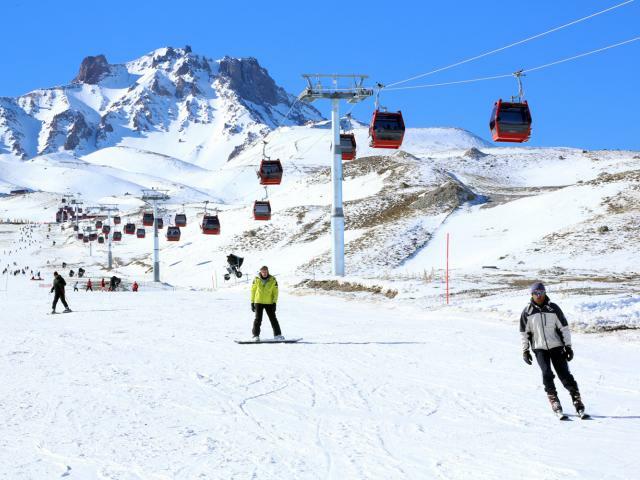 Erciyes and Mt. Hasan. The cities were excavated as early as Hittite times and were expanded over the centuries. In the early stages of the Christian era, these underground cities were an ideal hiding place for Christians escaping persecution, and for devout believers who wanted to distance themselves from the real world. Later, they were also a useful hiding place when Islamic Arabians invaded Christian homes. They were fully functional for everyday living and equipped with schools, churches, residences with bedrooms and kitchens, barns, wells, and wine cellars. Good wine-producing techniques already existed in those days. The stone doors offered good protection against the enemies, as they could be shut only from the inside. The inhabitants lived there from weeks to months until it was safe to return to their homes above ground. As you’re walking through the many tunnels and chambers of these fascinating underground cities of Cappadocia, try to imagine what life was like in the old days. 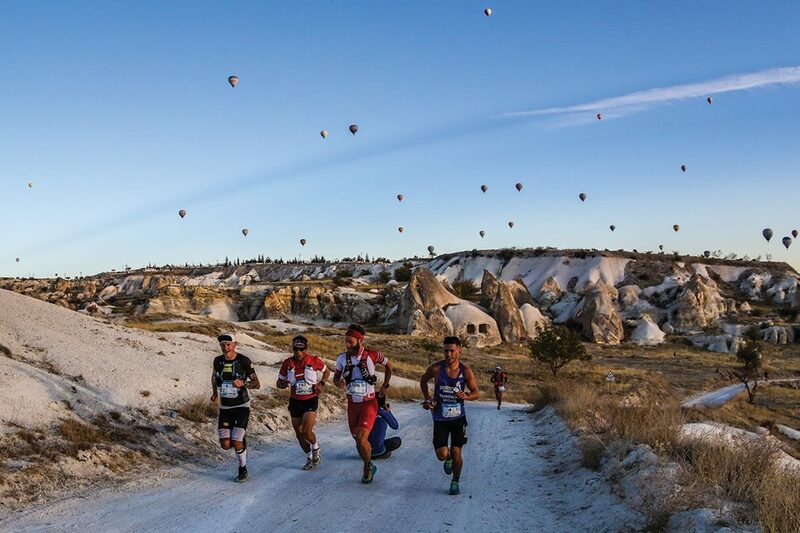 Each year, visitors from all over the world come to Cappadocia. This very special part of Turkey has something for everyone. 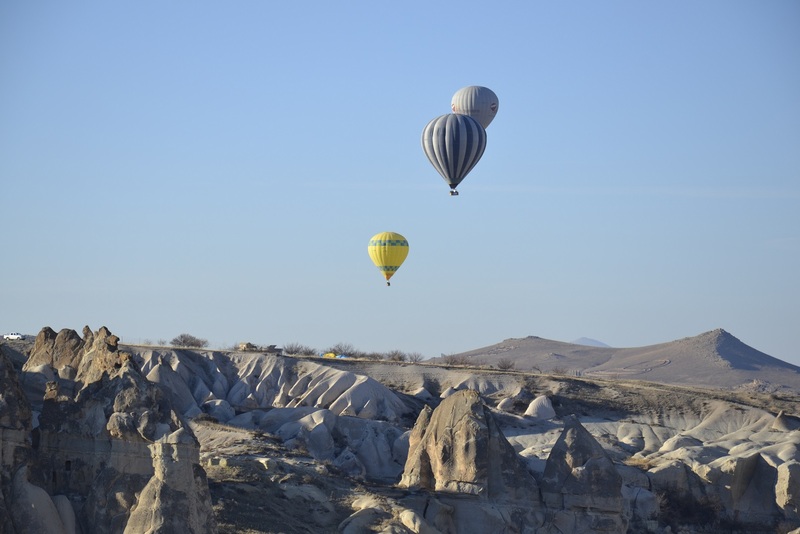 But the one thing that’s at the top of everyone’s list is flying over the beautiful valley of Göreme in a hot air balloon , and we are proud to offer the best hot air balloon rides in the region. What better way to experience this unique UNESCO world heritage site than from the air. Your hot air balloon journey begins before you go up and, believe us, waking up before dawn is worth it. Watching your pilot fill the balloon with fire in the dark, just before dawn, is quite a moment to behold. And then it’s time for take off! When weather conditions allow, it’s possible to fly most days of the year and at a maximum altitude of 800 meters. The months between April and October are the most popular times to fly, but if you come in winter, when it snows, the fairy chimneys all covered in snow is also a spectacular sight to see. The wicker baskets can carry from 2 to 24 passengers. Up there, as you’re floating slowly and gently across the sky, looking down at the thousands of rocks of different shapes and colours glowing in the light of the morning sun, and enjoying the magnificent 360-degree panoramic view of the valley, you will forget about the stresses of your life back home. Hot air ballooning in Cappadocia started with an International hot air balloon competition organised in the area during early 1990s. Since then Cappadocia is know as one of the most amazing and suitable place to do hot air balloon ride in the world. At the moment Cappadocia is home to twenty six hot air balloon companies with a combined balloon fleet of well over 200. 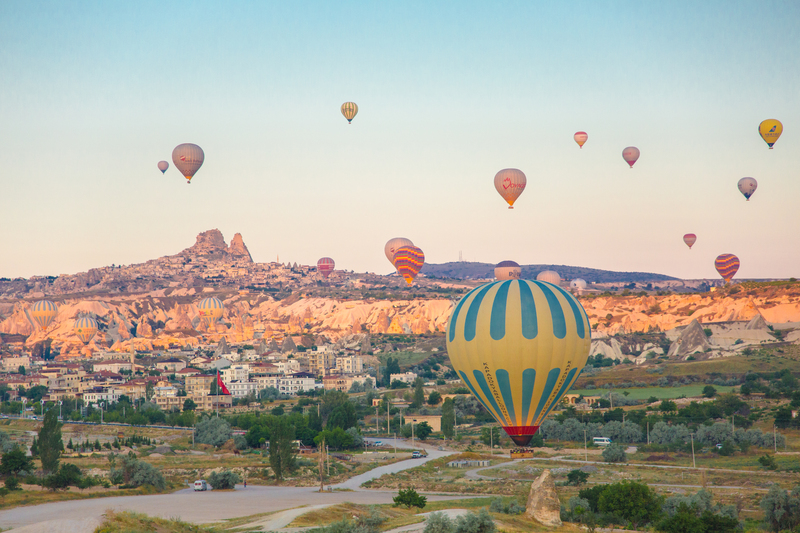 More than 25,000 balloon flights will take to the skies of Cappadocia over the course of an average year and approximately 500,000 passengers will have the experience of a lifetime. Cappadocia is home to the largest balloon company in the world with a fleet that is 22 balloons strong. Cappadocia ballooning industry has been going strong for a quarter of a century. Cappadocia as an International Ballooning Site The historical region of Cappadocia has enjoyed an important international reputation for years, with the National Park of Göreme and its surroundings having been inscribed on the UNESCO World Heritage list as early as 1985 due to its geological and cultural significance. 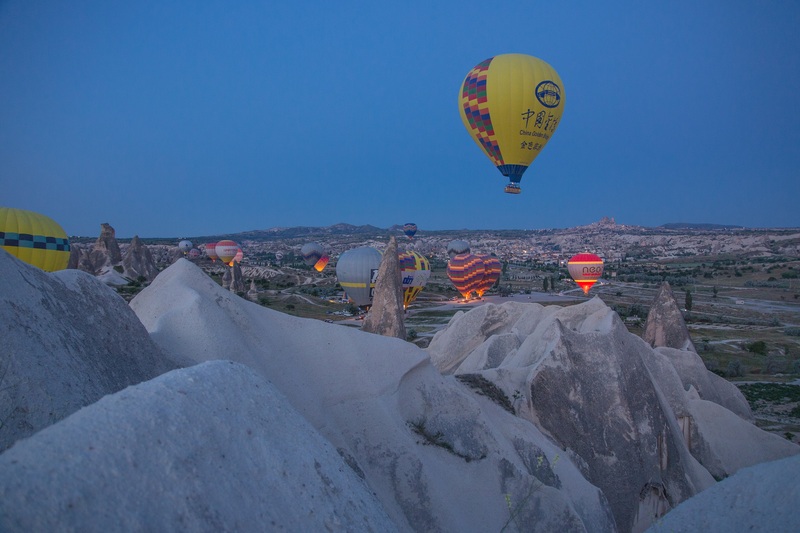 However, Cappadocia is now recognised as one of the most popular sites for hot air ballooning in the world, too. 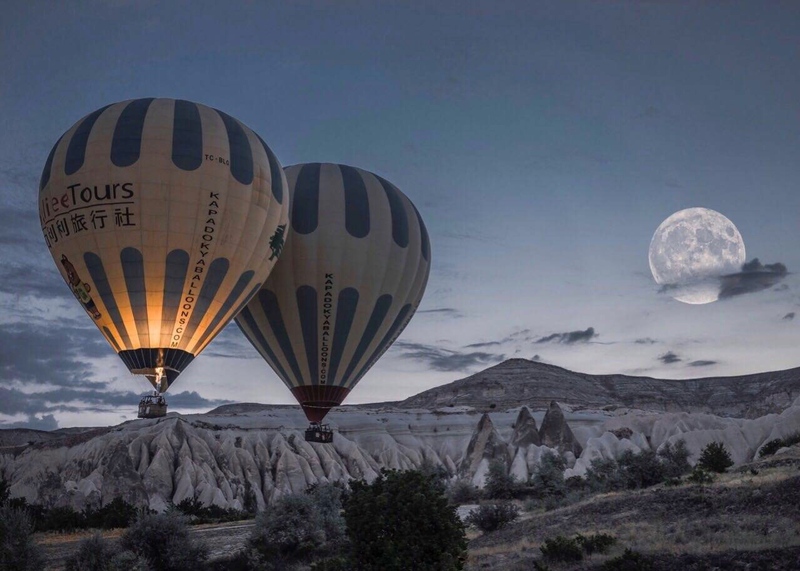 Stunning pictures of Cappadocia balloon flights are now one of the most popular travel themes on social networking sites like Instagram and the region is host to some of the most important ballooning events in the world. There is no such thing as exaggeration when it comes to describing ballooning in Cappadocia, only the beautiful fact of going where the wind takes you. The best time to fly hot air balloons in Cappadocia is just before down! The Central Anatolian region of Cappadocia not only boasts its stunning formations of volcanic rock and distinctive fairy chimneys, it also has a unique continental climate that lends itself to the aeronautical art of hot air ballooning. With its inland location and moderate altitude, this provides a number of key climatic factors that contribute to ballooning success: gentle, stable winds; long, hot summers; and minimal rainfall. Cappadocia also tends towards hot days followed by much cooler nights, especially during the prime ballooning season between April and October. All of this contributes to the fact that dawn is the absolute perfect time to sail into the skies of Cappadocia. Just before dawn is the coolest moment of the day and this helps the hot air balloons to ascend into the air, as the hot air of the balloon needs to be surrounded by cooler air in order to power flight. Dawn in the valleys of Cappadocia, with its indescribable rays of warm light painting the land, is definitely something worth seeing! There is no other place on earth quite like Cappadocia. When people talk about architecture, they usually talk about buildings and other structures that are man-made, but Cappadocia’s incredible architecture was made entirely by nature. The magical fairy chimneys were the result of volcanic eruptions that began millions of years ago. Humans started living in them centuries ago and many of them are still inhabited today. They are also enjoyed by visitors from all over the world who come to stay in the cave hotels. At the top of many of the visitors’ list of things to see and do in Cappadocia is flying in a hot air balloon because this is one of the most unique places in the world to do it. It is something that anyone of any age will enjoy and is a special experience whether you do it alone or with family and friends. The baskets come in different sizes, depending on the number of people. Couples who are here on a romantic holiday or on their honeymoon can fly privately. Private flights are also ideal for proposals and anniversaries. Some large families choose the deluxe package, which offers baskets that accommodate up to 8 people. A standard basket can carry up to 20 people. It’s a great way to meet people, who often take off as strangers and land as friends. ® Turtle Tours Cappadocia All Rights Reseved.